Balasubramanian from Bangalore, B.E. - B.Tech Graduate. HARDWARE BOARD BRING-UP PROJECT MANAGEMENT BOARD DESIGN SYSTEM DEVELOPMENT RELIABILITY CERTIFICATIONS QUALIFICATIONS PRODUCTION & QUALITY..
are one of expert skill area's of Balasubramanian . 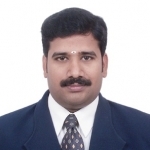 Balasubramanian is working in Others industry.